Over at Stash, we're attempting to sell down leftovers from last December with a Christmas in July event. (Unfortunately, Stash's online store has been closed down for logistical reasons - if you're interested in any of the fabric, email me and I'll figure something out.) Everyone was supposed to make a little something to showcase the fabrics. 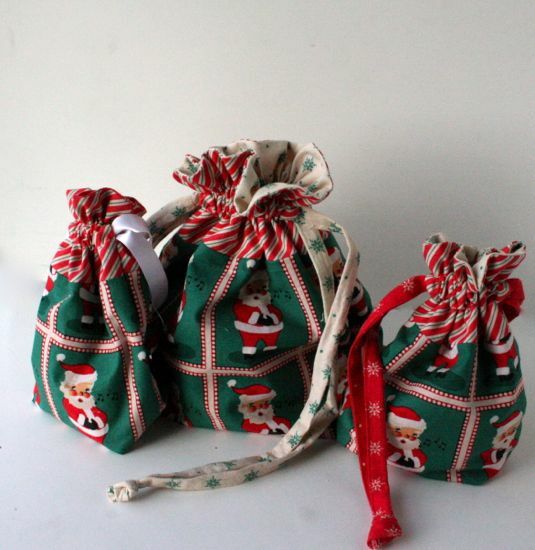 I made drawstring bags, because, well, that's what I do. 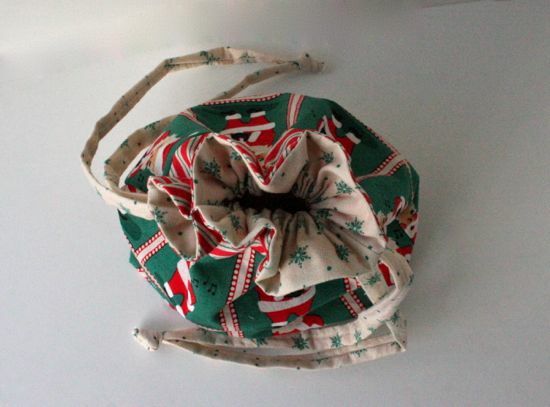 The fabric is Dear Mr. Claus by Cosmo Cricket for Moda. It's got a retro feel to it, with this apple-cheeked whistling Santa and the tiny snowflakes. It's a sizable collection, with a lot of bolts in the shop. I only used four prints for these bags, and I made them all the same (except for the sizes), so perhaps it wasn't the best way to show off the fabric. I guess that's what happens when you decide to have a sale at the last minute! I wrote up a tutorial for putting this block together. I'll post it here in August, probably, after it's been up at the Stash site for a while. It's not a hard block, really, just a little fiddly. 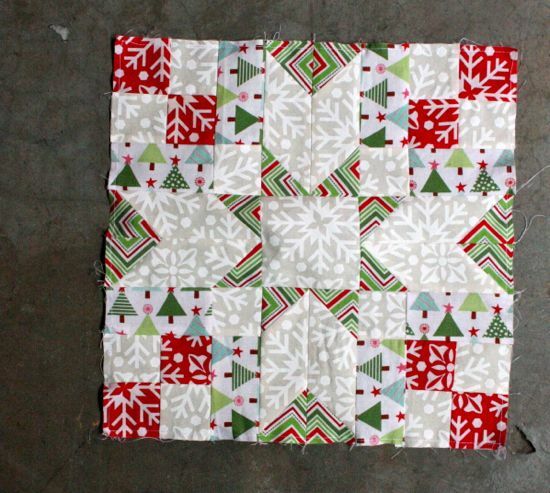 I can't say that working with Christmasy fabric has helped convince me that it's not hot and sunny outside, though. It's still summer here. Working on my veggie quilt would be somewhat more appropriate, if only the real veggies didn't need me quite so much!